We are one of the leading Education Consultancy firms in Pakistan, enabling students to pursue their careers in foreign studies. Our Experts aim in providing high-level advice for making our clients realize their true potential and their Educational Needs abroad. Our value-added services will help you to choose the country of your choice, to the most renowned institute and then, will be assisted to lodging services in abroad also. 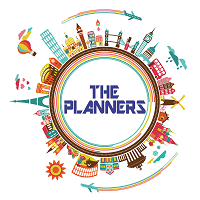 With 11 years of experience, Planners Consultancy has successfully assisted Institutes in student recruitment, institutional tie-ups, market research and exploring new business opportunities. They are good and trusted.